Nothing ever seems as loud as a set of squeaky stairs when you’re trying to keep from waking others up, especially while getting ready for work early in the morning, or when the kids keep running up and down them. Fortunately, there are a few different solutions to fix this problem and ensure that your stairs are both secure and last you a lifetime. What Causes Stairs to Start Squeaking In The First Place? As stairs go through everyday wear and tear, the boards will wear down and start to shift from the weight. This can cause the nails in the steps to loosen from their secure positions, resulting in even more movement, as well as warping. A temporary fix for this problem is hammering in a second nail next to the original one. Eventually, the stress that caused the original nail to loosen in the first place will end up affecting the second nail, but this can be a good solution in the interim. The best way to re-nail your stairs is to add two new nails in, both at a 45-degree angle in opposite directions. This is the most secure method, as one nail will be holding the tread in place when it moves in either direction, and it keeps the nails from loosening too much over time. To fix your stairs from above, if they are enclosed and not accessible from below, another great option is to screw down loose boards. You will need to locate the squeaky spots by walking over the boards. Then, after removing loose nails if you are able to, you can either drill a new hole or use the existing nail hole, and then add in a screw to really secure the board to its base. Adding in screws will secure the wood better than a nail does and will keep them from getting loose for a longer period of time. You can also install stair treads and riser covers. 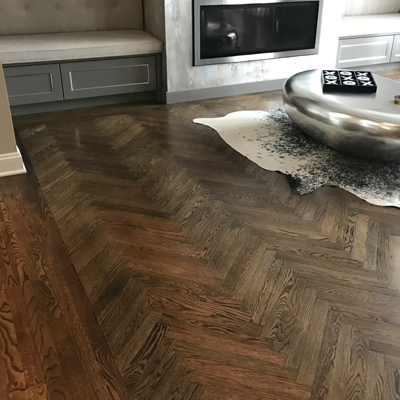 These are sort of like a veneer that fits over your existing stairs, but it can serve to eliminate walking on potentially older boards without the hassle of redoing the entire staircase. This can also be a great option for those who want to redo the look and feel of their stairs, as they come in many different finishes and you don’t have to match your existing stairs if you want a new look. The covers can quickly give a new look to your home. If you do have access to the underside of the staircase, there is a more permanent method you can use short of redoing the stairs themselves. 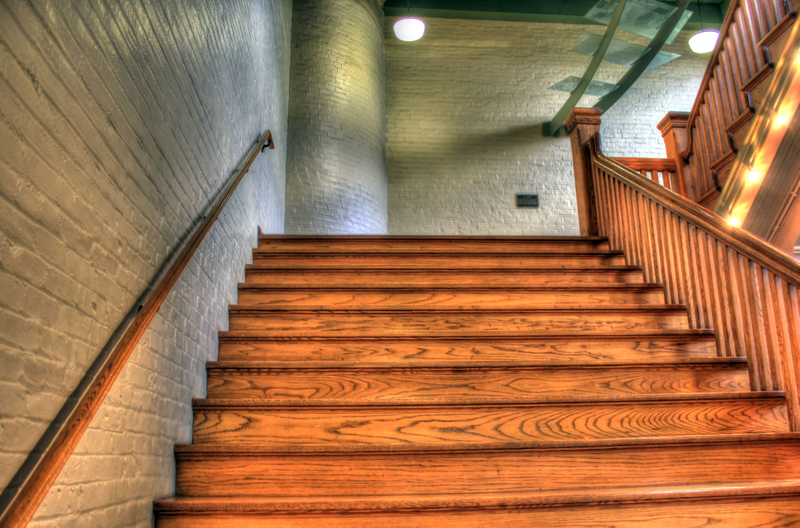 Lots of stairs are built with wood wedges between the tread and the riser to minimize gaps between the two boards. Sometimes those wedges wear out or become loose. If you can get under the stairs, you should be able to see if there are wedges in there, and where they may need to be replaced. You can then tap in new wedges to sturdy the treads and keep them from moving downward under pressure. If none of those methods work to eliminate squeaks and creaks, the boards may be worn down too much, weakened by age and use. When the temperature and humidity levels change, it can lead to cracking in the boards, which isn’t fixable by simply nailing the boards down righter. If there are cracks in your stairs’ treads, it will be necessary to replace the entire board rather than patch a problem that will only get worse. Weakened boards can also become a hazard, so it’s best to take care of the problem right away than to wait for something to go wrong. When you need to fix your loud, creaky stairs, these methods can help you get rid of that annoying, pestering noise and allow you to sneak down for your midnight snack without worry. What’s The Best Way to Fix Gouges and Cracks in My Hardwood Floors? 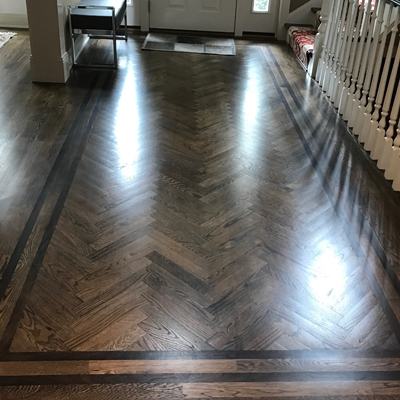 How Can I Tell If My Hardwood Floors Are Thick Enough To Refinish? 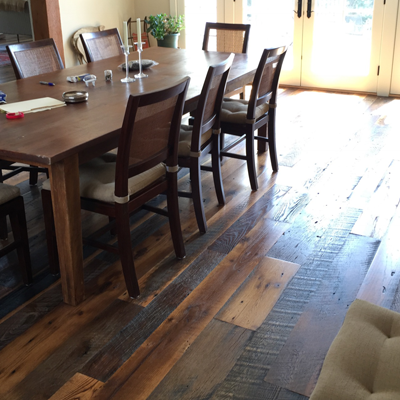 How Do Adding Hardwood Floors Affect The Value Of Your Home? 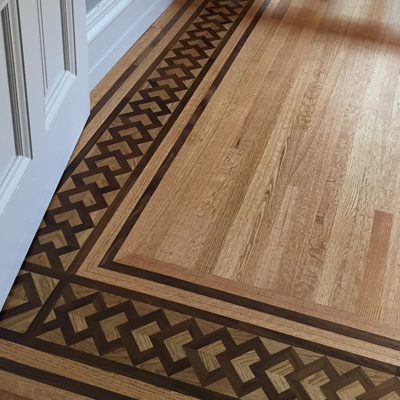 How Do You Pick the Right Widths for your Hardwood Floors? What Are Powder Post Beetles and How Can You Get Them Out of Your Hardwood Floors?